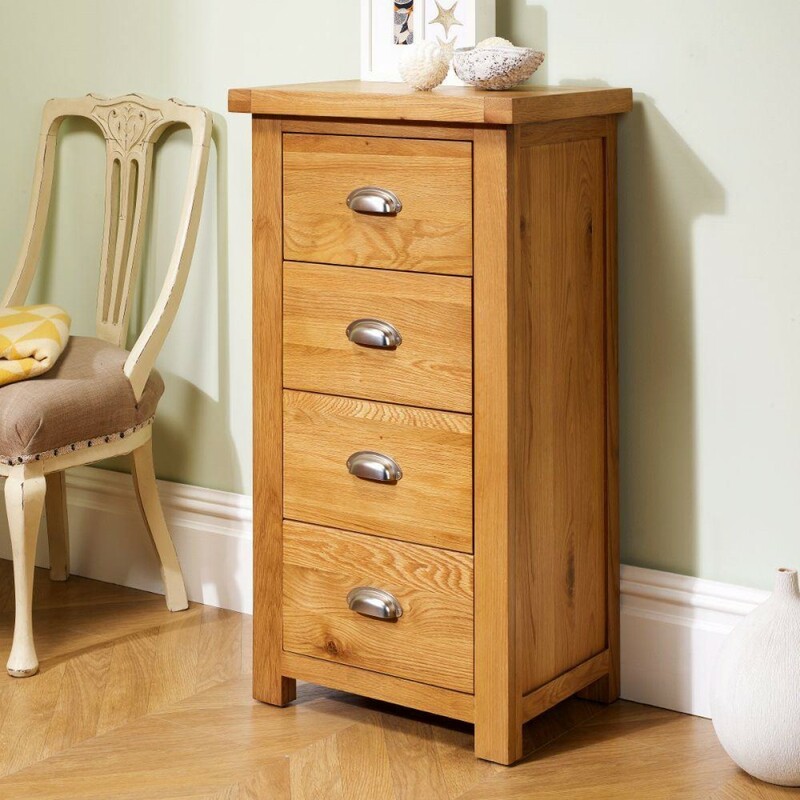 Delightfully concise and solidly built, the Woburn 4 Drawer Narrow Chest Oak serves as a perfect bedside table, an excellent storage space for dining rooms or simply a wonderful addition to a living room. Featuring four modest sized drawers, the Woburn 4 Drawer Narrow Chest Oak offers ample space for all manners of items and possessions. 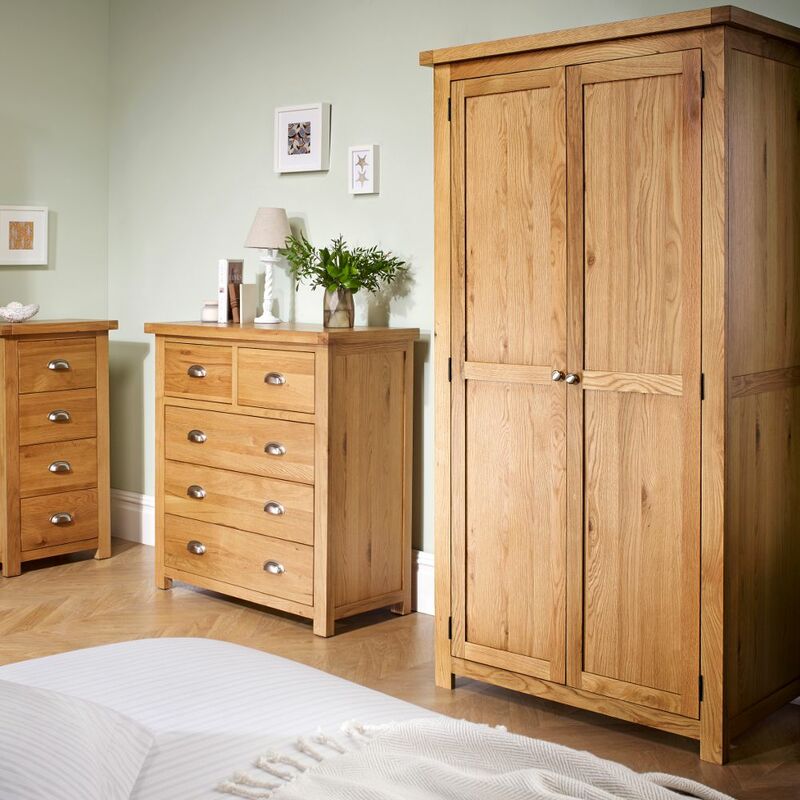 The durable design ensures that anything stored within the Woburn 4 Drawer Narrow Chest Oak is sure to be safe, and the discreet nature of the drawers mean that the piece won"t be obstructive. 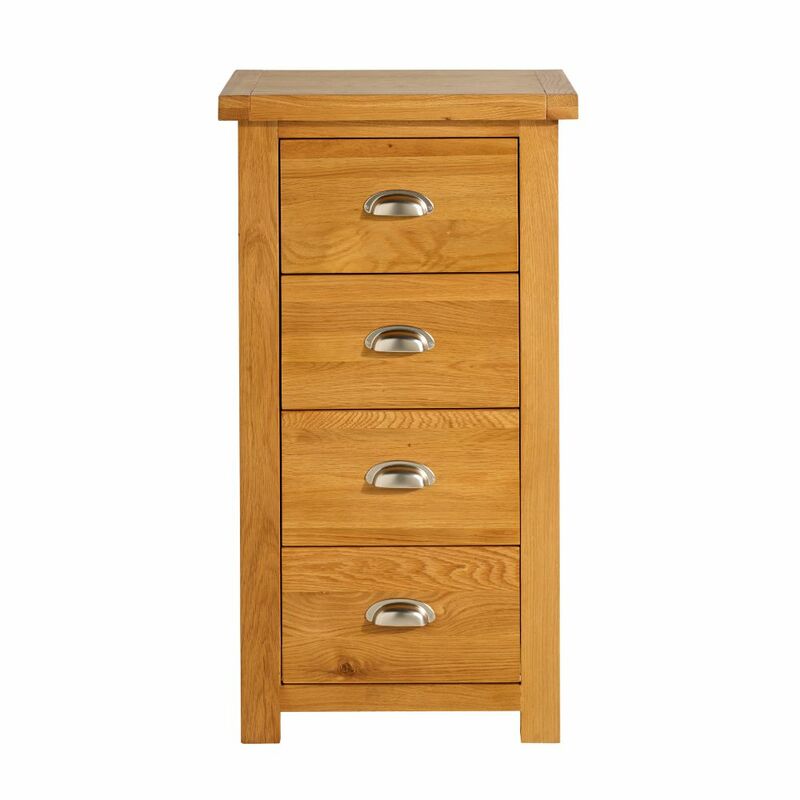 The natural oak finish of the Woburn 4 Drawer Narrow Chest Oak lends itself well to subtle, no frill decors, while the bold form means it can adapt comfortably to any style. The modern elements of it, such as the cup style handles, also opens the possibilities of featuring the Woburn 4 Drawer Narrow Chest Oak in contemporary style rooms. 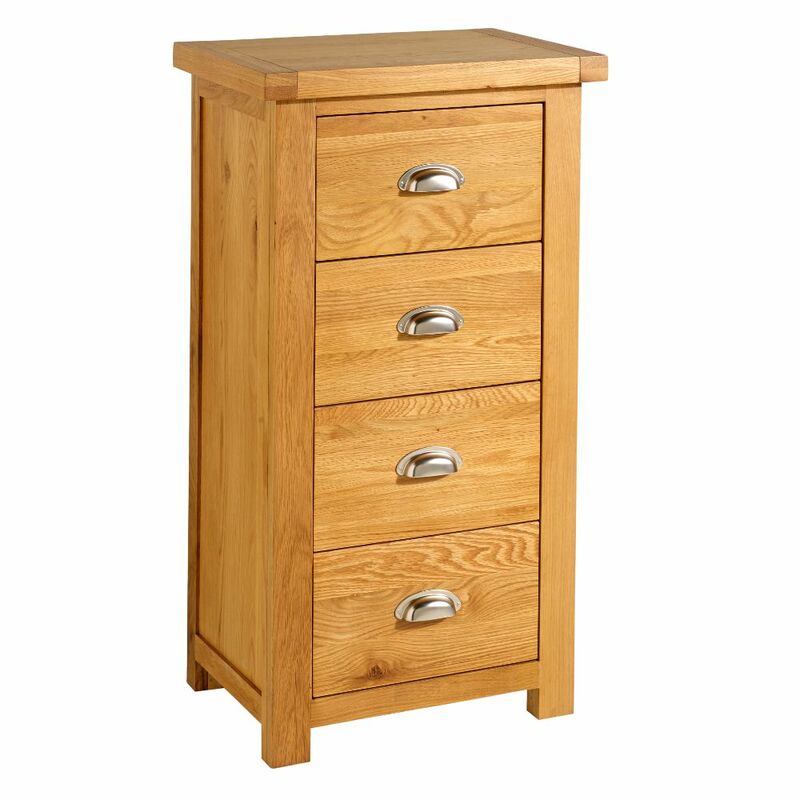 Arriving fully constructed for added convenience, the Woburn 4 Drawer Narrow Chest Oak has been assembled to last. Crafted from solid oak, the durability of the Woburn 4 Drawer Narrow Chest Oak goes without question, all whilst looking utterly charming. The product is part of the The product is part of the Woburn Oak Wooden Bedroom Furniture Collection.